I am an Invisalign Teen® brand spokesperson and all opinions expressed are my own. Full disclosure. If your family is currently researching ortho treatment for a teen in your life, you aren’t alone. There are more than 4 million teens currently in treatment to straighten their teeth. Wow! It isn’t an easy decision to make and all options need to be carefully researched. I have four tips for you to consider before you make your first move. A big decision needs to have everyone involved. Part of your teen’s overall health concerns will include teeth straightening. So, it’s critical that you have a discussion with your son or daughter about what their needs and wants are and continue to involve them in any conversations moving forward about the topic. Since the adjustment will take over a year, you have to be sure that your child is fully on board. The last thing you want is to make a huge purchase and then have someone not fully cooperating. Cutting corners is not something to consider when it comes to your teen’s teeth. The last thing you want to do is worry about a do-over. Talk about an expensive mistake! The truth is, you will only adjust your child’s teeth once. It’s very rare that anyone goes back a second time to correct and if they did… they are regretting the costly mistake. When you make your decision, you’ll want to check for treatments that have a track record of success. I have a little confession… my teeth are crooked and I had braces as a child. Yes, it’s true. But I only had my braces on for about a year and never wore retainers after they came off. So, they’ve moved quite a bit and it’s something I’m very conscious of. If only I took care of my teeth from the start! In the past, metal braces felt like a right of passage for teens. They were almost iconic symbols for awkwardness in every 80s movies I watched as a child. LOL! It makes complete sense, believe me. Having braces is no easy feat. Trust me, I know. But with advanced technology, kids no longer need to go that painful and embarrassing route. I wore the awful metal braces for years – complete with getting food stuck in them and never wanting to open my mouth to smile – always wishing for a different option!! Today, there are different options to consider — so don’t just stop at traditional methods. Newer approaches to teeth straightening with Invisalign Teen® clean aligners are custom-made clear aligners that are worn over the teeth and are changed out every two weeks. Through the process, teeth gradually shift into place. Here’s the great news. They’re removable and virtually invisible!! So, for teens, they are less socially awkward which means that your teen’s confidence will remain in tact during one of their most vulnerable times. 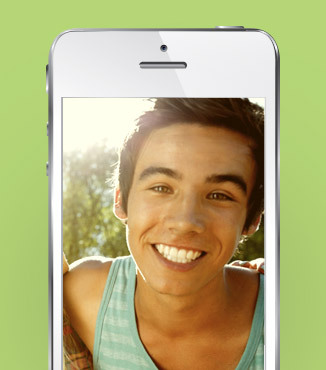 Invisalign Teen is the only clear aligner specifically designed for teens to straighten teeth. They have a proven track record for safe and effective treatment. In the hands of the right doctor, Invisalign can treat most anything braces can. If you are interested in Invisalign treatment for your teen, click here to find a qualified doctor near you. I remember when my mother had to pay for my braces when I was 12 years old. She had to put the entire payment on her credit card – one lump payment. It was a big nut for us to have to handle. My grandfather actually had to step in and help take care of the majority of the bill because we just couldn’t manage it on our own. Today, with some planning, no one has to deal with such a large burden. If you know that in the future you are going to consider teeth aligning strategies, you can start a savings account today. Any bit helps! It’s advised by the American Association of Orthodontists that children at age 7 visit the orthodontist. At this point, parents can evaluate if they need to start saving for treatment. Even $25 a month can help. Speak with an orthodontic provider about payment plans. We simply did not have the foresight to do something so smart! As a mother of three children (two of which absolutely need teeth aligning assistance), I am going to set up a ortho account TODAY! I just love this idea! I’m a huge fan of alternative corrections that they have these days. When I was a kid, if you needed corrections, you were doomed to face the wrath of the kids with your “brace face”. I am in total agreement you should deathly not cut corners when it comes to any part of health for you or your family. It will come back to bite you in the future if you do cut corners. These are great tips, so far my son has perfect teeth but my daughter may not. This will be great to keep in mind as she gets older. Great tips! The family discussion is probably the most important. We need to know what our children feel comfortable with and then let them know what we can actually do about it. I wish that something like this was around when it was time for me to have gotten my braces in middle school. This is pretty darn cool! Invisalign sounds awesome! I never really knew that much about it but after reading more it is definitely something I would look into for my boys. This is perfect for those that are reaching that age! I am not quite there yet but am keeping this option at the top of my list. I had no idea that they made Invisalign for Teens! What a great alternative to braces! We’re actually looking at ortho for my 8 year old 🙁 Invisalign is such a great plan for self-conscious teens. My son is looking into need braces, thanks for the heads up! I had braces as a kid, too. I know my youngest will need them and I’m planning on getting invisalign for him when he’s old enough! As the Mom of four kids who survived while ALL of them were in braces at the same time for years, I could not agree with your tips more. Most importantly, get an orthodontist who is well-regarded and has the skill and knowledge to make the best recommendations for your child’s situation.